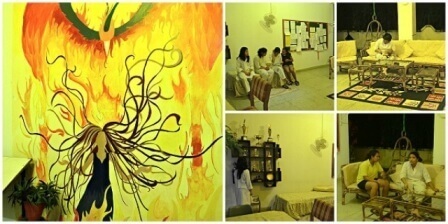 For pupils of classes 6 to 12 there are 4 boarding houses. These houses are named after the tributaries of the Brahmaputra river. Each house is under the care of two Housemistresses. Pupils of class 6 to 8 are under the purview of Housemistress ‘B’ and pupils of class 9 to 12 are under the purview of Housemistress ‘A’. There are tutors attached to the houses who support the pastoral heads. “In the realm of ideas, everything depends on enthusiasm. We, as Jinarians, embody the very essence of our house motto, PERSEVERANCE; getting up stronger every time we fall. 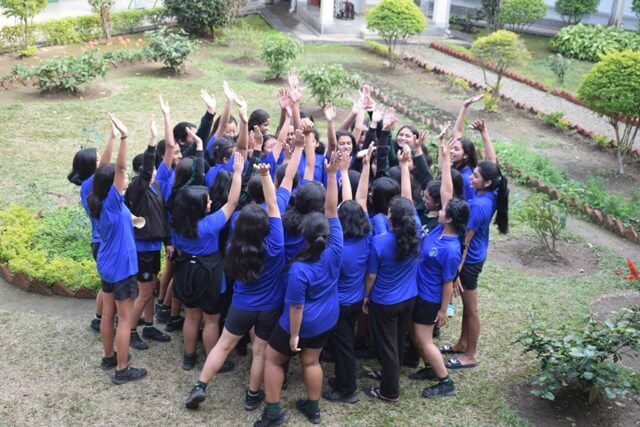 Sixty-six Jinarians, held together by a strong bond of sisterhood stand proudly with our R. B. Magor Trophy for the second consecutive year. 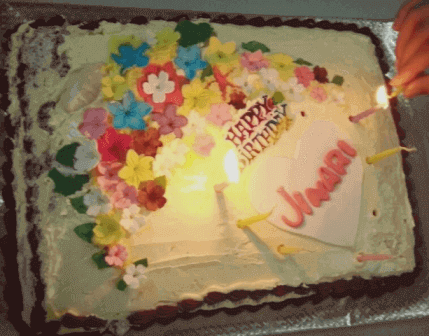 Jinari believes in creating a warm and friendly environment for both old and new girls. 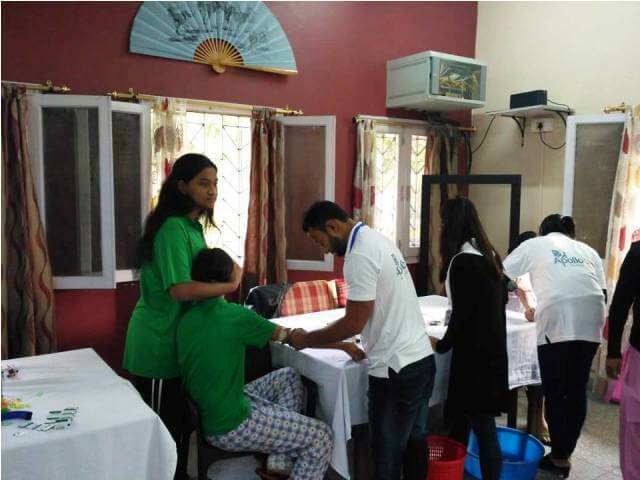 We conduct various intra-house games and activities thereby creating a fun loving and homely atmosphere for everyone in the house. 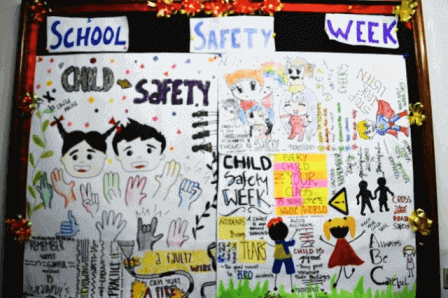 Jinari supports the idea of a holistic development of girls whether in academics, sports or cultural pursuits and this is evident from the number of cultural as well as sporting events that we have won in the year gone by. A true Jinarian stands out in a crowd not merely because of a crisp ironed shirt and polished shoes but because of the splendour they uphold. Shivombika Kashyap: Bronze in IPSC Badminton. 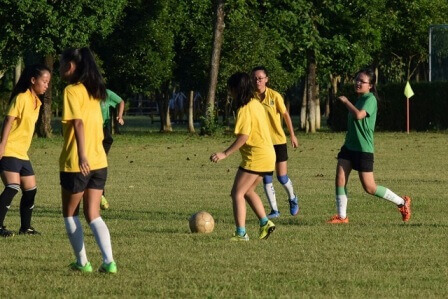 Somaina Boro and Namrata Baruah: Selected for U-17 National Soccer Team. Nuby Tamin: Gold in National Science Olympiad. Pei Dulom: Silver in National Science Olympiad. 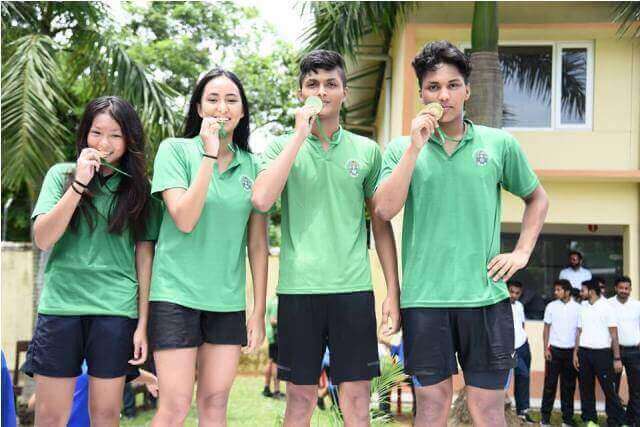 Trisha Baruah: 3 Gold, 2 Silver, 1 Bronze in State Level Swimming. 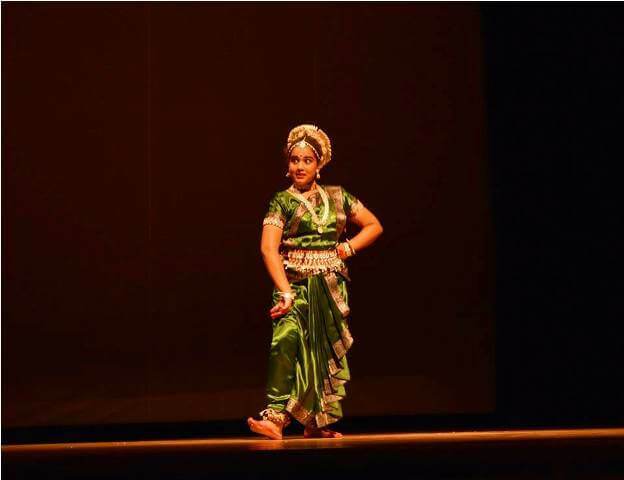 Tamanna Tahrin Ahmed: 3rd Position in International Roy McComish Competition. As the morning rays of the sun peacefully falls upon our yellow-clad girls, they shine with optimism, enlightenment, and happiness. Our ‘yellow’ girls, their faces beaming with golden yellow brightness, carry forward the promise of a positive future. They advance together to the pinnacle of success as they instil optimism and energy, as well as spark creative thoughts in to the other. As the day progresses, the girls infuse the spirit of happiness and goodwill among the whole community just like the bright sunshine of the glorious sun. Subansiri is far beyond a group of girls living together and sharing a common living space. It is a living and breathing entity growing with us as the years pass by. 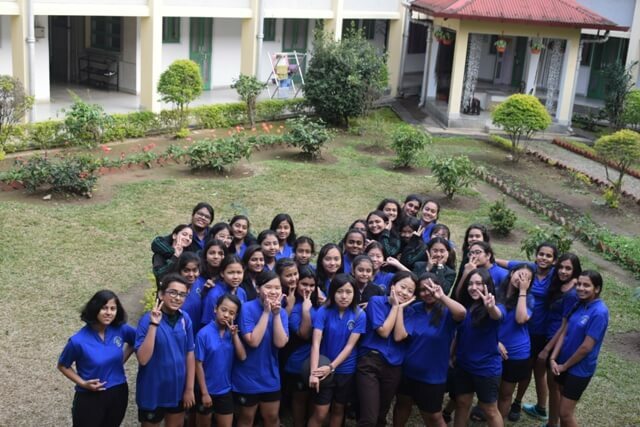 The motto ‘DARE TO EXCEL’ is what defines the Subansiri girls. 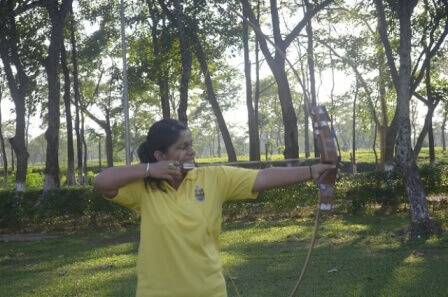 Subansiri is always up for any challenge and is ever ready to prove herself. We rise and shine through all our failures and set an example for others. Be it academics, music, culture, debating or sports , Subansiri is always ready with an extra spark of enthusiasm and stamina. Our House educational offerings are enriched by a wide range of sporting and extracurricular activities, as well as community service initiatives, that seamlessly complement our academic programmes. This facilitates learning at all levels – intellectual, physical, social and emotional. This House has seen many success stories in the past and will see many more in future. 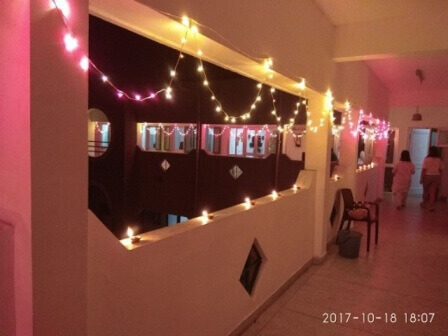 Since its establishment on 1st April, 1996, this House started with 50- 60 girls, led by the House Captain Pooja Goenka and Tentikala Mannen, and Prefects Namita Agarwal and Namrata Tibrewal, who started the House with enthusiasm and zeal, eager to prove themselves. Since that time, till now, the House has gone through many ups and down, but never giving up on its dreams. 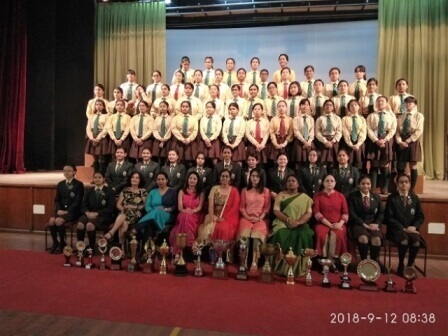 Year after year, this house has given Head Girls like Prerna Choudhury and Shalini Jalan, Sportswomen like Obja Bora Hazarika, Tulika Saikia, Pooja Gill and Pallavi Gill to name a few who have led the House to a different level and helped win the coveted R.B Magor Trophy many times. 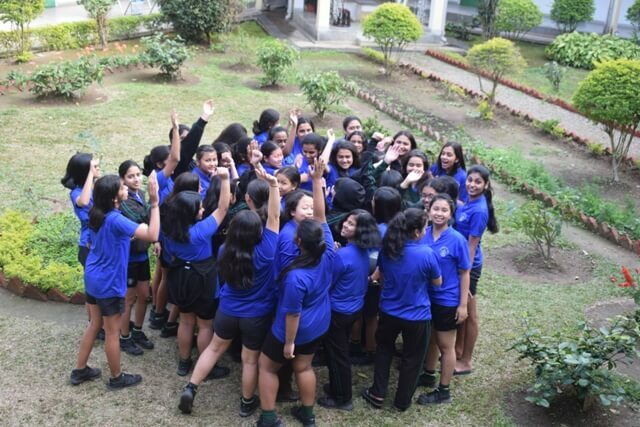 This year the Summer Semester began by welcoming the new students into the House along with the new-old batch of class 9s who had shifted to the Motherhouse from Tihu. 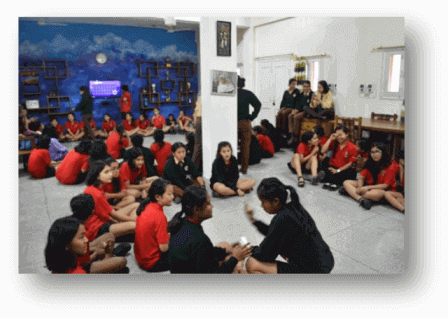 With six tutors in Subansiri House, the girls were introduced to their new tutors and tutorial groups. In the 2017-18 ISC Exams, Shivangini Kashyap topped the Humanities Stream with an aggregate of 98.75%, thus making us Suzenites feel proud of her. We congratulate her for her feat. 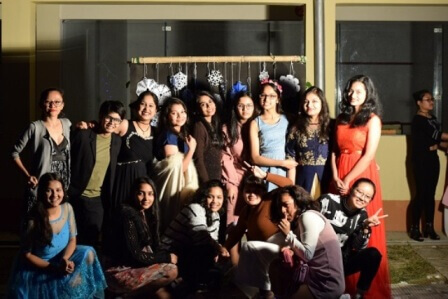 The Founders’ Semester was an equally busy Semester, which started with Inter School events like ‘Nrityaparva’ and ‘Srijanyam’, and yet again the Subansiri girls performed well and brought accolades to the House. 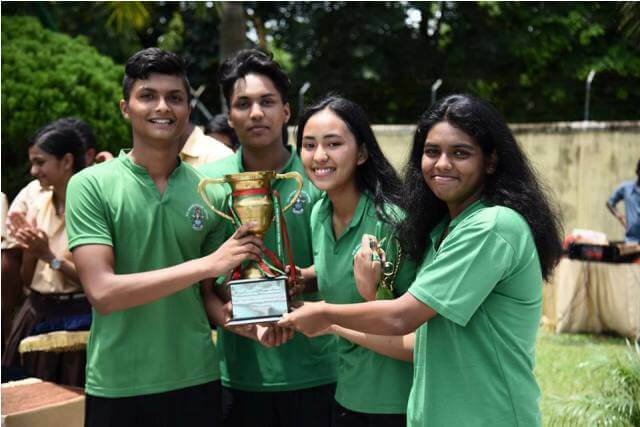 In the Inter House Mural Design Competition, the Subansiri- Namdang House secured 2nd position, thus winning the top scores in overall calculations and bagged the CDT Cup. 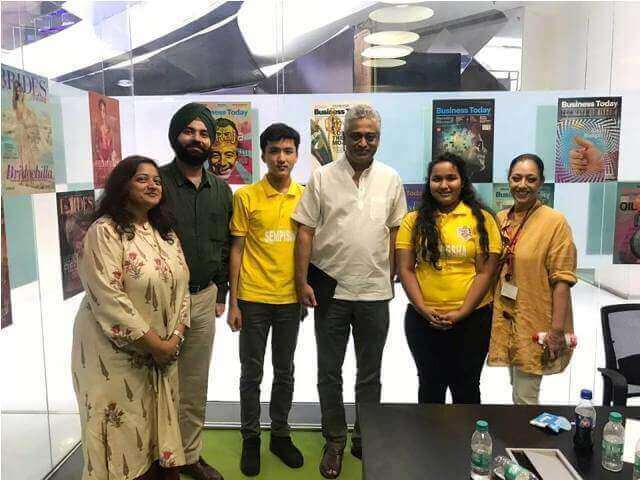 The Founders’ Semester also saw the change in Prefectorial appointments as the previous Batch passed on the baton to the New Batch of 2019-2020. 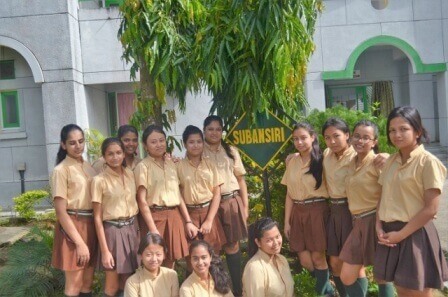 The new House Captain of Subansiri is Saloni Agarwalla, and the two new House Prefects are Arhata Saikia and Avneet Arora. The other official appointment from the House is Nandini Garodia who has been appointed as the Editor in Chief, AVE. Farial Saheen has been appointed unofficially as the Food Captain. 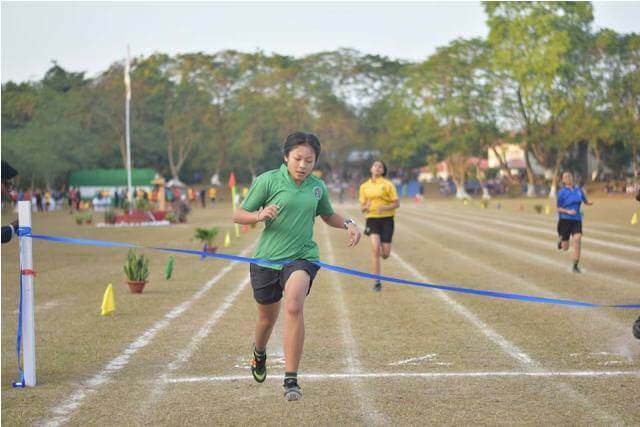 The Semester ended with a happy note when The Subansiri- Namdang House got 1st position in the Inter- House Athletics and 3rd position in the Inter- House March- Past, 2018. Kopili is the House belonging to the green colour in our school but to all the Kopili girls it is their home away from home. It is the place where our dreams and talents can blossom and bloom. 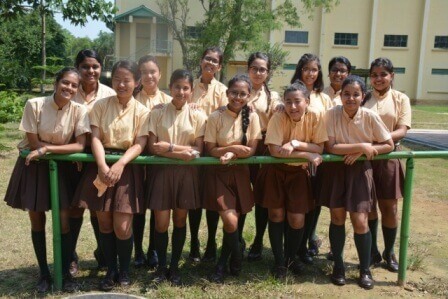 Kopili House is led by Mrs. Shalu Sharma, the Housemistress, Divyana Das, the House Captain, YayumToko and DhreetyHaloi, the House Prefects. Kopili is a house brandished out of the greatest hardships like the toughest of swords forged out of the best metal. The adversities overcome by Kopili have made Kopili the House that it has become. It is not just a building but a storehouse of the feelings and aspirations of its inhabitants. We have carved out a name for ourselves because of our achievements in various events, both inside and outside the school. 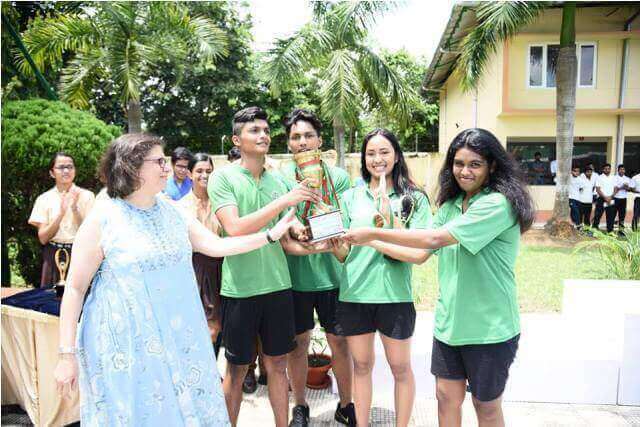 We have won Inter-House Competitions such as the Inter-House English Debates, Inter-House Dance, Inter-House Swimming and many more such Intra-School events. Outside the gates of AVS, our girls have competed in events like the Pune fest, the IPSC Dance, the India Today News Wiz Quiz and other events. In this manner we have had an all-round development and that is something Kopili wishes to instil in all our girls. We want our girls to acquire the skills and talents required by them in the longer run and our Alumnae band is proof of that. Parnalekha Paul, a Kopili girl, was the first School Captain from the Girls Department and her sister Patralekha Paul, who was also a Kopili girl, made her Bollywood debut with the film ‘Citylights’. Kopili girls like Uttara Thapa, AashnaChawcharia and SriparnaGogoi were the ISC toppers of the years 2012, 2015 and 2016 respectively. Kopili House has always shown brilliant results when it comes to the field of academics. 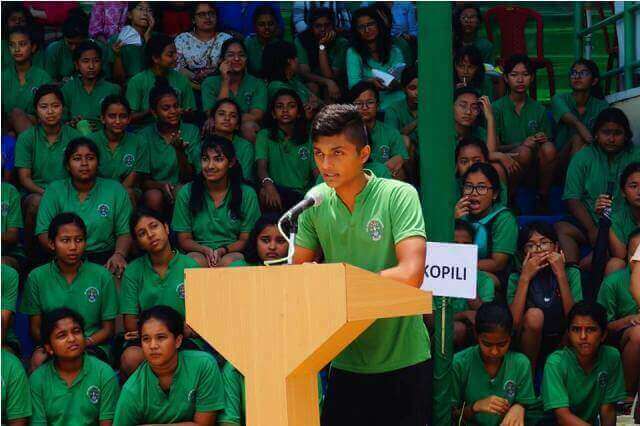 In the ISC 2018examination,Kopili has produced exemplary achievers likeShineyKashyap who scored the highest in Kopili House. In the ISCE Examination of 2018 we have produced brilliant results as well. We had the second highest results overall and we topped from the Girls Department. Two of our Kopili girls were in the Top 3 and one of them, Aakangsha Dutta was the ISCE topper of 2018. At the beginning of each Academic year, the Kopili girls set a target for themselves and work hard towards achieving it. These efforts and initiatives have borne enviable fruits over the years and Kopili has been able to scale unparallel heights as far as acing and achieving is concerned. At present, Kopili boasts of having a considerable number of Scholars’ ties and an immensely meagre figure of Academic Cards have made their way to the bounds of the House. In the near and distant future, Kopili will strive to attain and ace the “Card-free” status and build up an academic empire which not only impresses but also inspires. Art is first a sentiment and then a word. 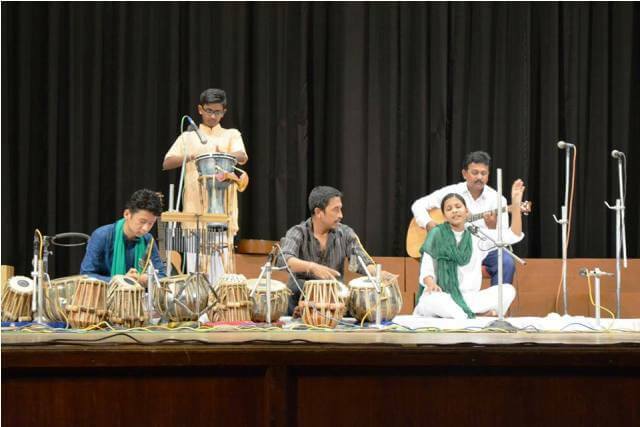 Kopili has, over the palpable years, seen the rise and flight of eminent artists who have generously stretched their roots of excellence to draw, develop and inspire. 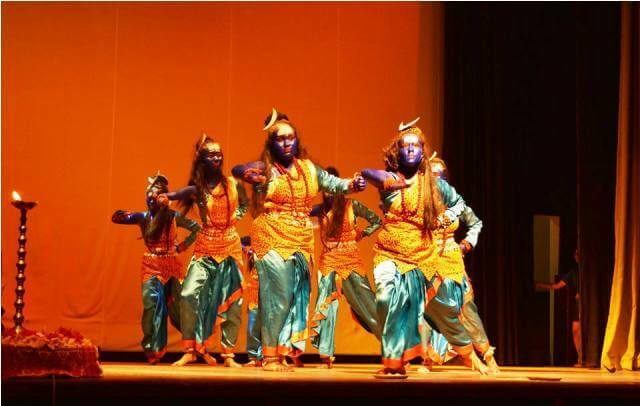 Dance is one field where Kopili has always left a mark. 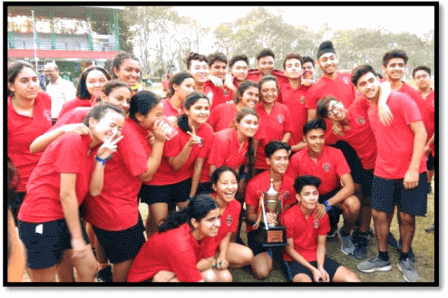 In the Inter House Dance Competition 2018,Kopili-Dhansiri won the Dance trophy. We were first in both the Semi-Classical and Western Group category. In the Inter-House Product Design Competition 2018, Kopili-Dhansiri showed their ingenuity with their waste disposal device which placed us in the first position. 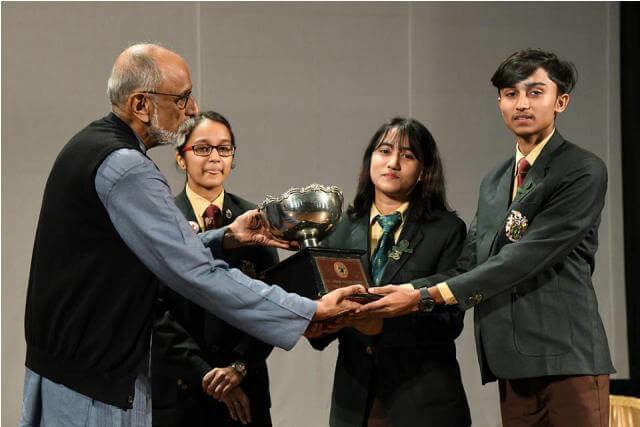 Kopili has always had formidable debaters and in the recent Inter-House English Debates Kopili-Dhansiri bagged the first position with Aakangsha Dutta from Kopili winning the Best Speaker’s prize and VeeradityaPodder from Dhansiri winning the Most Promising Speaker. We stole everybody’s breaths with our movie in the Inter-House Movie Making Competition 2018 and bagged the first position. During the summers in the scorching heat, swimming is loved and fancied by all. Showcasing various techniques like Butterfly stroke, freestyle, breast stroke, back strokes etc. every girl whether it is a swimmer or a non swimmer makes an effort to make the best use of the pool.Kopili-Dhansiri stood first in the Inter-House swimming meet 2018. Many individual positions were also bagged by the spirited Kopili girls. This is that one sport which the Kopili girls are most enthusiastic about. The energetic young girls play fiercely and diligently, trying their best not to let even a single basket go unscored. 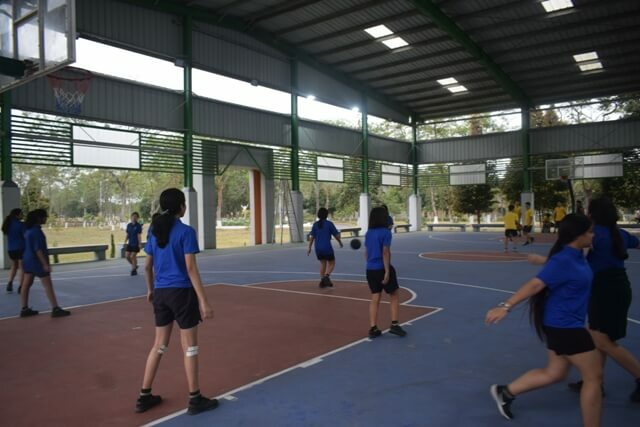 This year even our juniors portrayed their talents in the Inter-House Basketball as they won every single one of their matches. Taking the ball through the eyes of the opponents and past the reach of the goalkeeper, the Kopili ‘kudis’ never fail to score a goal with their intense hard work and immense practice. They enjoy being on the soccer field and many of our Kopili girls are also on the school Girls Soccer Team. 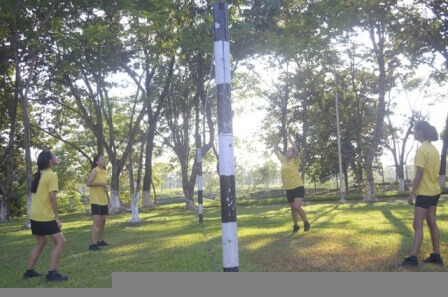 Popularly known as ‘volley’ by all aviators is yet another sport that many girls in the house enjoy playing. This is one sport that we can brag about saying that most of us know how to play this sport and everyone looks forward to playing Volleyball whenever they can. This year Kopili-Dhansiri even bagged the first position in Inter House Volleyball. A very popular sport in AVS and also among our girls, the racquet seems to be pretty well handed by Kopili girls. 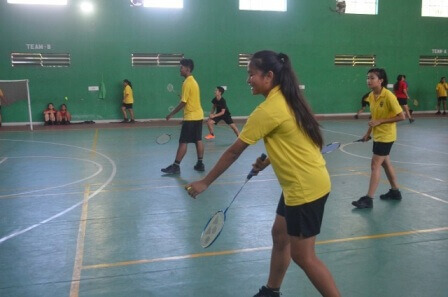 Whether it be an inter house event or a friendly play, the enthusiasm shown by the girls earn indefinable praise and applaud when it comes to playing Badminton. 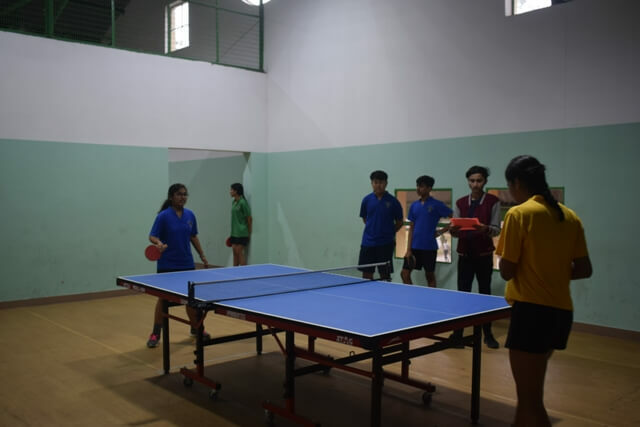 May it be Lawn Tennis or Table Tennis, the girls give in their best with their aim to make the house and the school proud. 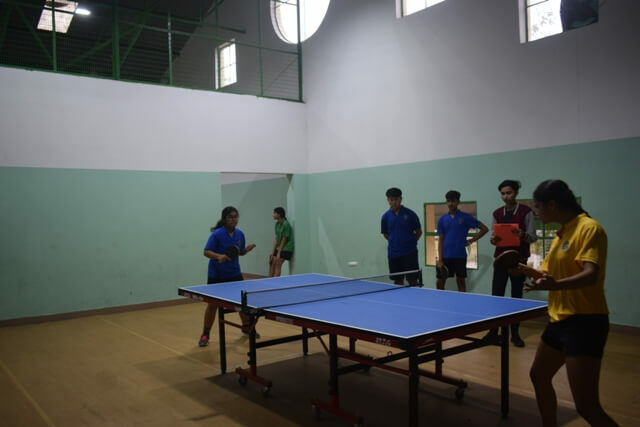 We have many tennis players in both Lawn Tennis and Table Tennis, among which we have a few district level players as well. Practice makes a girl perfect, is a very evident quote in this field. The young and budding riders in Kopiliput in their best and give it their all when it comes to majestic sport. Being the Housemistress of Kopili is more than just my job, it has become a part of my life. Sending a child away to a boarding school is a difficult decision for any parent, but boarding schools are a home away from home where children are nurtured within a structured and busy environment, thriving on the daily challenges, boarding experience ensures your child develops the skills for independent living; giving them a sense of belonging, self-discipline, structure, and having a sense of worth and responsibility.Therefore I think of it as my duty to be able to guide my girls in the right direction. Kopili house mainly emphasizes on physical, moral, intellectual and spiritual development of the child to the fullest possible extent. We are training children in such a way that they should learn to apportion their time and energy to the greatest advantage.Kopili clings tenaciously to the roots of the old norms and traditions and does still boast of these virtues.The mission of shaping the destiny of young ones is in the hands of teachers and especially tutors. They give unstintingly their full time, mind, heart and soul to defining the future of that child who is not their own and yet their own. Kopili house aims at producing women of sound, redoubtable character and upright conduct, who seek success in life by striving for excellence, are conscientious and capable of acting as leaders of their field of activity. All the girls who pass through our hands have to be good human beings, have a healthy respect for their teachers and all elders and above all, be able to stand out in crowd for their outstanding qualities.Our girls firmly believe that to be successful and to attain excellence in life we need to compete with own self by stretching our own boundaries, rather competing with others. We should aspire to reach new heights, but not for the world to see us at the top rather for us to see the world from the top. At Kopili, we help stimulate the minds of children and the capacities for learning. For us, education is a personal process. Pastoral team at Kopili, understand that it’s people who learn, it’s a human mind, a human heart, that responds to their own experiences of learning through enthusiastic, self-discovery and by inspiring a love for integrity, compassion and life; finally transforming budding girls into women of substance in the world of tomorrow who have a healthy blend of sensitivity, compassion, emotional intelligence and a steely resolve in their personality. I see great things happening here every day many of them unannounced, many of them not particularly newsworthy, but all of them cumulative, important and transformative. 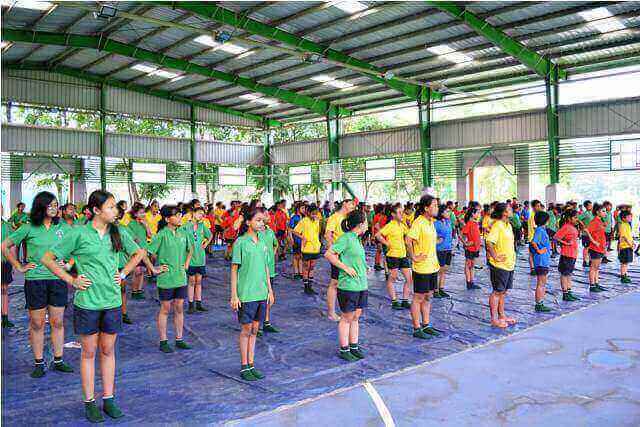 It seems to me that they are the product of a community where every one of our girls is well known and supported by a broad range of people.We recognize that success in developing our pupils to the full depends on the teamwork we share with parents and guardians and on the pupils themselves. We provide an environment whereby students can develop their intellectual talents in an atmosphere of positive encouragement and in conditions that are conducive to work. Daily prep is well-structured, supervised, orderly and silent. In Kopili House we provide a home away from home where we maintain traditional values in a family atmosphere. We develop in the whole child a desire for truth, decorum, courtesy and high-achievement. These values are the cornerstones of success. My girls have always made me proud and I am sure they will continue to do so even in the future. Respect and Integrity- these two things can truly lead one to success. 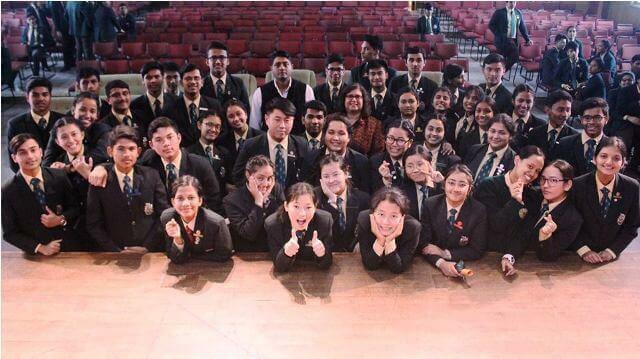 I, Divyana Das, as the house captain of Kopili House stand by the motto, ‘To strive, to seek and never give up’ firmly and with a little ‘fire in our bellies’ we can achieve whatever we put our minds to. I believe one can achieve one’s goal by true dedication and hard work. I feel it is my responsibility to encourage and inspire the young minds of Kopili and to push them to the best of their abilities. Each girl, in my opinion, has a lot of potential and here in Kopili we try our best to discover that special spark which lies in every individual in Kopili. As we strive for success, seek for brilliance and which we never give up on, we come to see the true potential of Kopili. Kopili house is truly a unique and captivating house. We have always taken pride in being different from the conventional standards and we still continue to carry our heads held high for this same reason. With talent and spark in each and every girl, Kopili is very diverse. We all come from different places, our ideas and views vary, in fact some of us may be as different as day and night but what holds us together is the bond that we share in Kopili. We build a bond of sisterhood amongst us and we look after each other like our own blood, which is something spectacular and rare to find. We in Kopili build a home and a place where one is not afraid to be herself. Lastly, as the house captain I do believe that Kopili is the best house. I hope that I do justice to my responsibilities and am able to help my girls bloom and blossom into independent, young girls of tomorrow. As the house prefects of this house, it gives us immense pleasure to say that Kopili is determined to produce girls who will go on to become fine young ladies of tomorrow, ready to take upon any challenge that comes their way. Kopili has tasted a lot of instances of success and some failures as well. But through it all, one thing has remained intact, that the never to die spirit continues to live in each girl’s heart. Every loss in any competition has just been a learning experience which has only brought us closer together as sisters. 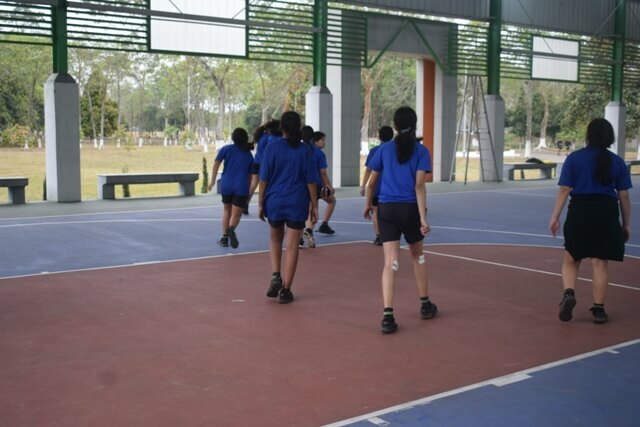 On the sports field, our primary aim is to maintain camaraderie, sportsmanship and healthy competition. Weknow that team work is one of the most essential elements in a recipe to success. Therefore, we would push every Kopili girl to engage herself in activities in their leisure that’ll only bring them closer as a family. We would likeour girls to remember only one thing – ‘To strive, to seek and never give up’. Bhoroli has the proud distinction of being the Oldest House in the school. Founded in 1st April 1995, it has truly gone from strength to strength. Bhoroli girls are proud of their traditions and are indeed guided by the examples set by their predecessors, but the greatest strength of Bhoroli lies in its sheer instinctive way of continuously reinventing itself to always stand out in a crowd, be it in Sport, Academics or Cultural Pursuit. They say, you can recognize a Bhorolite in a crowd irrespective of what she wears. A Bhoroli girl is one who is confident, composed, clear-headed, and honest and perhaps what shines through the most is that she puts her soul into whatever she does and never ever does she give up! That explains why a Bhoroli girl’s motto is ‘EVER ONWARD’. Varied as the achievements of Bhoroli have been, but consistency has been the touchstone. Be it academics, sport or cultural pursuit, Bhorolites have proved their mettle in every sphere. A Bhorolite has made her presence felt in every aspect of school life and we dare say that without the energy of the girls in Blue, AVS will definitely miss its spark. This year, too, the girls in Blue made some remarkable achievements. 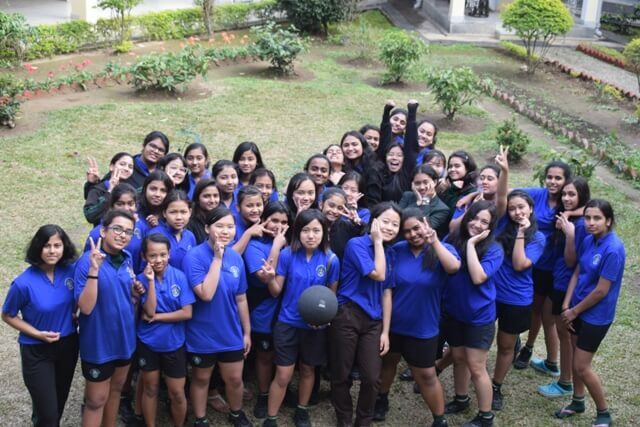 The Bhoroli girls with hard work, determination and talent once again proved to be victorious in the sporting arena. 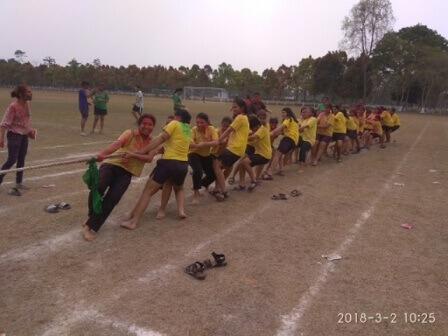 The inter-house soccer and Basketball competition where Bhoroli-Lohit with their combined efforts managed to achieve the second position in both. 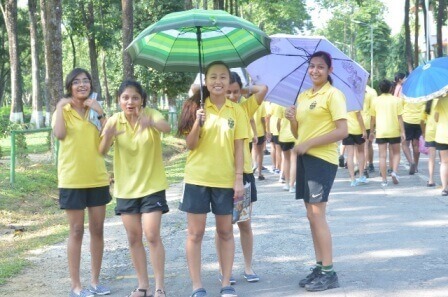 The inter-house March past and the Inter-house Athletics witnessed the girls put in tremendous effort. Apart from this, there were also some individual achievements. 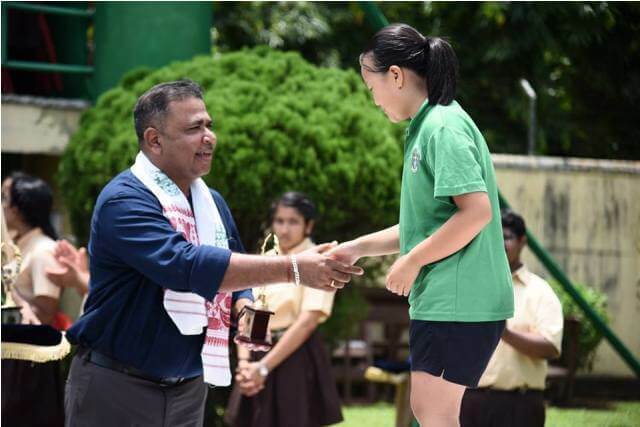 IsheetaHazarika , the sports captain of the school, received the Sportswoman of the Year. Isheeta Hazarika of class 12 and Drishti Rathi of class 9 made Bhoroli proud by attaining the Sports tie. A major color was awarded to Isheeta Hazarika for Basketball. Minor colors were awarded to SnigdhaBharadwaz of class 11 for Taekwondo, KashviBhartia and NaviyaChamariya of class 9 for Lawn tennis and Anam Aviva Ahmed of class 9 won for Athletics. Bhoroli looks forward to many more cherishable achievements like this. Academics have always been the hallmark of Bhoroli. Academic brilliance a Bhorolite is blessed with, and with a bent of mind for scholarly research, persistence and hard-work, the Bhoroli girls have made a mark in the field of Academia. 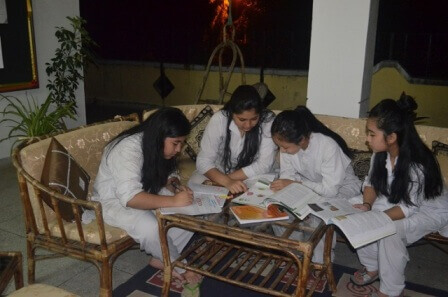 ICSE and ISC exams were like previous years aced by Bhorolites and several girls from the House won Honours, Distinction.We, the Bhoroli girls, work very hard to stay consistent in our academic pursuits with the constant guidance of our tutors and seniors. We won the very prestigious academics cup this year and are determined to win it next year and the years to come. Founders brought with it many founders awards related to the sphere of academics. Anahita Hazarika of class 12 received the award of The Scholar of the Year (ISC). She was also honoured with Stuti Pandey Award for Determination, Improvement and Dedication. Lune Lakshmi Dai of class 12 received The Head of School’s Prize for Consistent Outstanding Achievement in Academics. 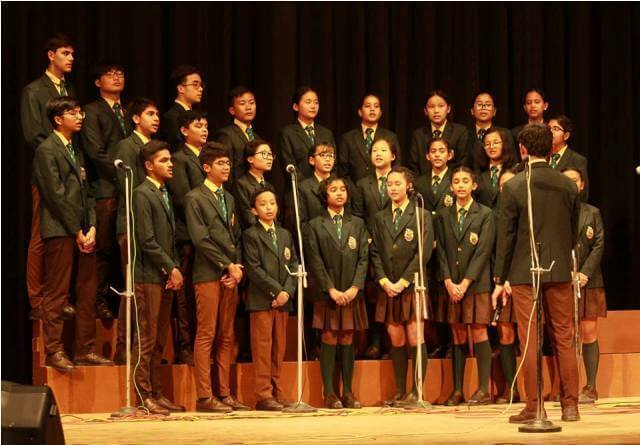 NaviyaChamariya of class 9 was the Most Promising Scholar of the Year(ICSE). Other than these individual awards Anahita Hazarika Lune Lakshmi Dai AsmitaKakatiNaviyaChamariya were awarded the Scholars’ Tie. 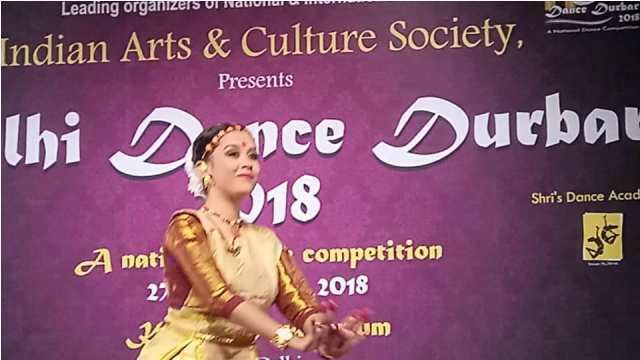 This year our school held the prestigious IPSC Dance and Srijanyam Art competition where we witnessed a great deal of talent and cultural meeting during events. PronaliGohain of class 12 had made the family proud by winning a goal set of awards in the Srijanyam Art Fest. TakheTamoReela also participated in the event and made the family proud. 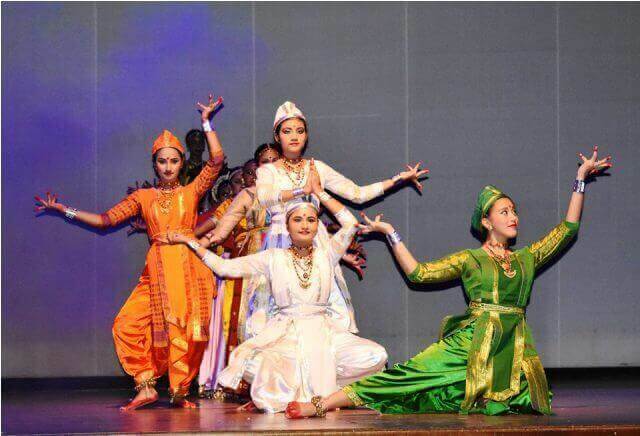 AnujaBarooah , IpshitaKashyap, Priyanka Saharia, ReminKabak, and IndraniNandy all of class 10 had made us proud as well by being a part of the IPSC Dance Team who brought glories to the school. Couple of our girls, that is, SrishtiKayumPegu and Orihona S. Bikash of class11 participated in National Round Square Conference held in DhirubaiAmbani International School, Mumbai and Prarthana Sharma of class 11 participated in the National Round Square Conference held in The Shree Ram School, Aravali. SnigdhaBharadwaz of class 11 participated in an International Round Square Conference held in Ashbury College, Ottawa. These people had brought some valuable experiences back to the house. 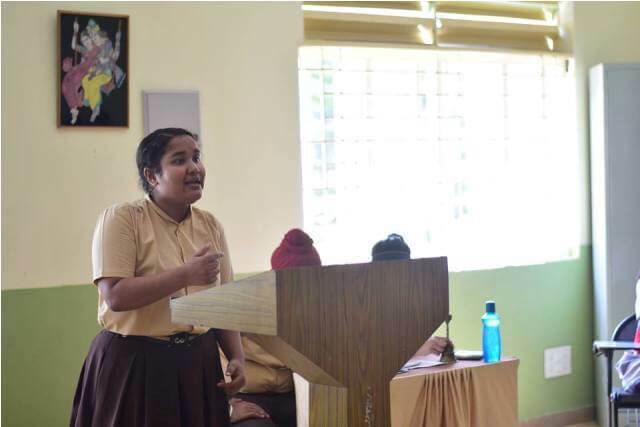 IndraniNandy of class 10, GayatriSapru of class 10 and NaviyaChamariya of class 10 had also participated in The East India Debates which was hosted by The Assam Valley School. They had also acquired distinctive experiences back to the house. There were many achievements that the house received this semester. The house managed to win the Mural competition. Many of the Bhorolites received cultural tie. TulikaBhargav, PronaliGohain, UrooleeChangmai all of class 12, Priyanka Saharia, KabakRemin, IpshitaKashyap, AnujaBarooah, IndraniNandy all of class 10 and NaviyaChamariya of class 9 were awarded with the Cultural Tie.Founders brought with it various Individual achievements too. The girls had really put in effort and were prized with what they deserved. UrooleeChangmai of class 12 was awarded with the title of the English Actress of the Year as well as the Chairman Shield for Leadership. PronaliGohain of class 12 was awarded as the Artist of the Year as well as the Reader of the Year. TulikaBhargav of class 12 was the Print Media Journalist of the Year. AnannyaWal of class 12 was rewarded for her Outstanding Contribution to Social Service. AvishiGarodia of class 12 was awarded with the King Constantine Medal. AnujaBarooah of class 10 was declared the Best Dancer and SikunpriyaaGoswami of class 10 was the Best Vocalist. IndraniNandy of class 10 was the Most Promising Debater. Bhoroli girls, undoubtedly, are brimming with natural, as well as acquired,talent. In whatever activity they undertake, the ‘Bhoroli culture’ shines through. 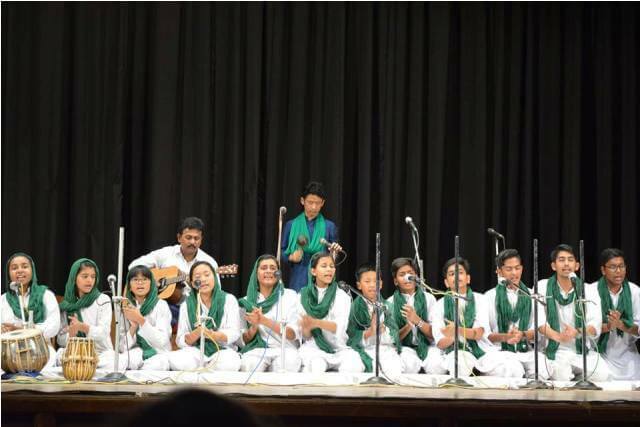 The Bhoroli culture, to be summarized in a nutshell, is all about harnessing that talent, channelizing and developing it to consequently create a unique and distinctive culture – an environment at once affable and solemn. 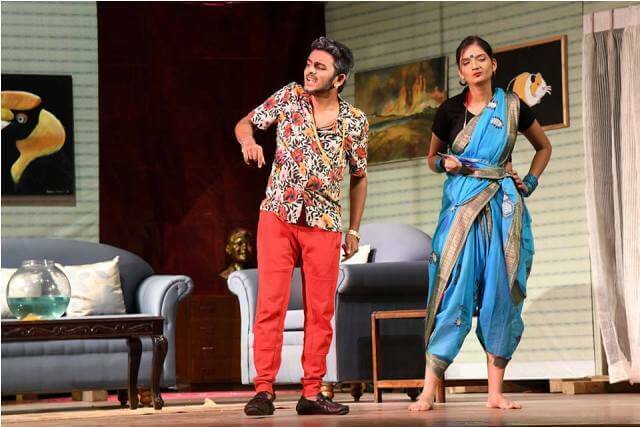 A House where the divide between Seniors and Juniors melts to give birth to a place where Tradition is handed down and permeates through every way of life – that is Bhoroli. We are confident that the girls will carry on the rich tradition of Bhoroli. We know that they will be true to their colours. And we believe that they will grow up to be the strong and independent young women that their House envisages for them. May they live up to their dreams!